SPECIAL: Double-sided Coroplast Sign | Corrugated Plastic Signs | Sign Solutions - Creative Sign Solutions, Inc. 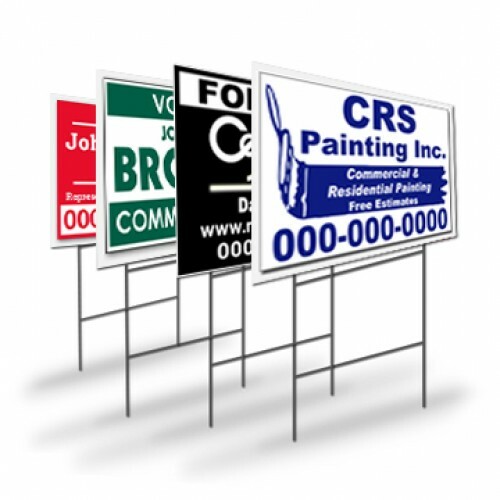 Commonly known as Yard Signs, Real Estate Signs, Bandit Signs, and Political Signs. Corrugated plastic, also known by the brand name Coroplast®, is a tough, waterproof, plastic sign material which resembles the appearance of “plastic cardboard”. The hollow-fluted design of Coroplast makes this sign material extremely lightweight, easy to handle and simple to display in a number of ways. The lightweight properties of Coroplast makes it extremely versatile, and has made it a popular alternative to rigid Acrylic Plastic Signs and PVC Plastic Signs. Coroplast signs are also commonly preferred over poster board and foam core mounting board. Foam core is not waterproof and the surface is much more sensitive to damage than corrugated plastic. Corrugated Plastic Substrates are used in a variety of sign applications. "Fluted Polypropylene Sheets" are lightweight (hollow structure), non-toxic, and waterproof. Compared to other substrates it is sturdy, light, resilient, and inexpensive, making it ideal for indoor/outdoor signage. Key Features: Slightly ribbed surface, Ideal for short-term outdoor advertising, completely waterproof, standard thickness 3/16” (4mm), high tolerance for extreme cold and hot temperatures, one-sided or two sided, available in a variety of sizes, easy to display. 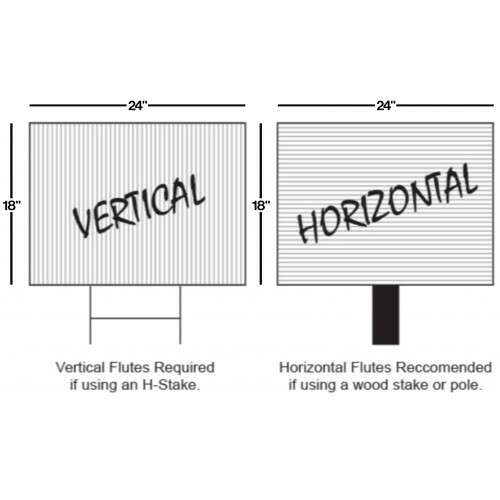 This item is for Quantity 20 Custom Printed, Double-Sided, 4mm Corrugated Plastic Signs. 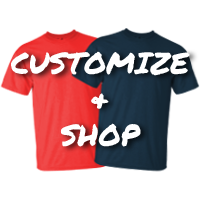 Using the online designer you can upload an already completed design or create one from scratch. Both sides will be printed with the same design. If your design has directional arrows we will mirror the arrow on the reverse side so they point in the same direction. We are here to assist you! Please feel free to contact us via phone, email or the contact us form with any questions, comments or feedback! CoroPlast Sign 12" x 18"
Commonly known as Yard Signs, Real Estate Signs, Bandit Signs, and Political Signs. Corrugated plas.. 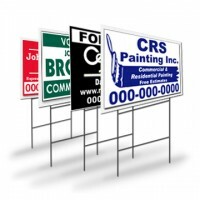 Commonly known as Yard Signs, Real Estate Signs, Bandit Signs, and Political Signs. Corrugated plast..
"H" Stake 10" x 30"